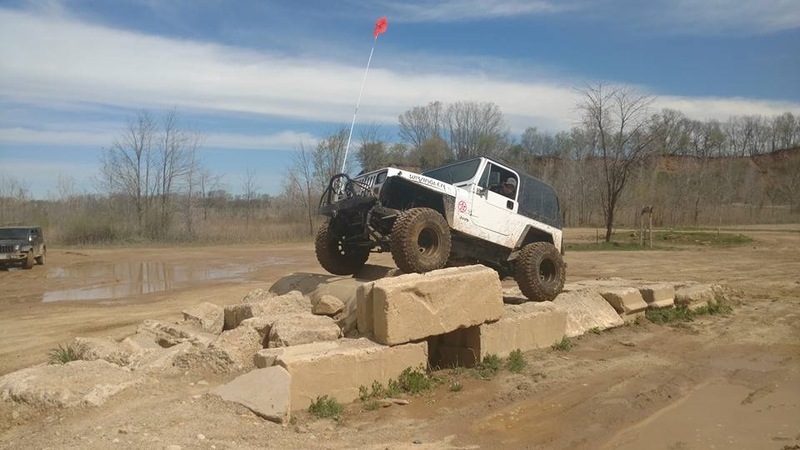 Jeeping is perhaps one of the most hands-on hobbies to have – not only do Jeep-enthusiasts spend countless hours meticulously crafting their vehicles, but they also spend most weekends of the year traveling to Jeep runs across the country. When you’re spending those kind of hours on road, towing and hauling, a comfortable ride is a must. 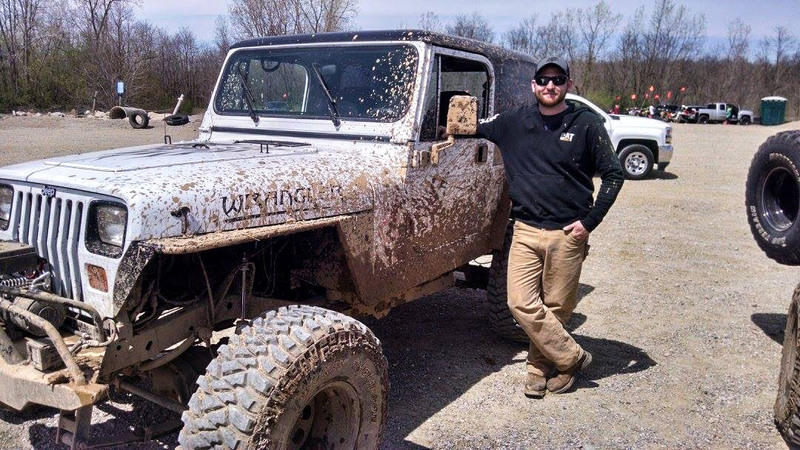 For Cody D. from Michigan, Jeeping is a family affair. He and his father haul their ‘90 (white) and ‘92 (gray) Jeep Wrangler YJs all over the state, from the Silver Lake Sand Dunes to the Bundy Hill and Twisted Trails Off-Road Parks. They love being able to get out together and spend time climbing rocks, getting into the mud, and running the trails. When heading to Jeep runs, Cody relies on his 2006 Chevy Silverado 1500 and his 2017 Kearney 20-foot trailer, fitted with everything they could possibly need when hauling the Jeeps, including a toolbox, winch, and work lights. But the more time Cody spent hauling their Jeeps, the more he started to think about needing to upgrade his truck. The weight of the trailer and Jeeps was putting a lot of stress on the suspension, causing the truck to squat, which made the vehicle much less stable and created an uncomfortable ride. Before he got too far into the search for a new truck, Cody discovered Air Lift Company and their load support solutions. 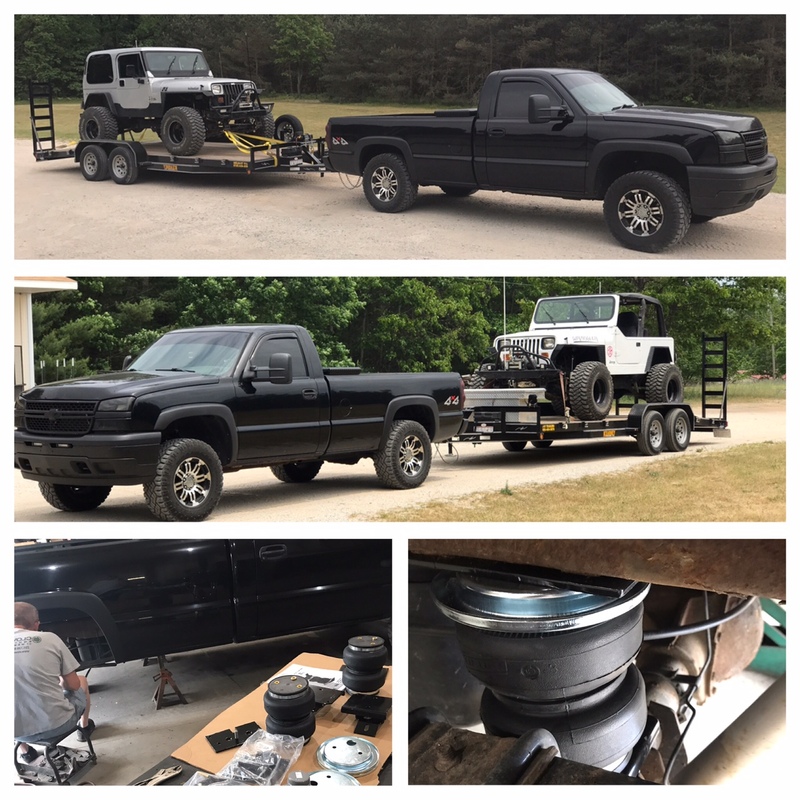 After reading some reviews on the LoadLifter 5000 system, Cody decided to give it a shot and ordered himself a kit through SD Truck Springs. When the kit arrived, he installed the system on his Chevy himself, using his father’s shop. After installing the system, Cody could immediately see and feel the difference – the truck bed no longer sagged and the ride got more comfortable. So what do Cody and his dad intend to do with the rest of their year? The two are planning to take their Jeeps out-of-state to the Badlands Off-Road Park in Indiana, as well as doing some exploring into Kansas and Kentucky. With the LoadLifter 5000 system, they can feel totally confident to take on the long-hauls. With plans to spend the winter building a new Jeep with his dad while looking to revamp his Chevy, as well as taking on bowhunting season, Cody looks to have a busy rest of the year with his Chevy and his LoadLifter 5000! Special thanks to Cody for taking the time to share his #lifeonair with us!